Expiring proprietary licenses gave financial consultant MLP the opportunity to evaluate their options for application servers. They migrated several business-critical applications from IBM WebSphere 6 to Red Hat JBoss Enterprise Application Platform, eliminating the licensing costs for the previous solution while still providing a fully certified Java EE platform. 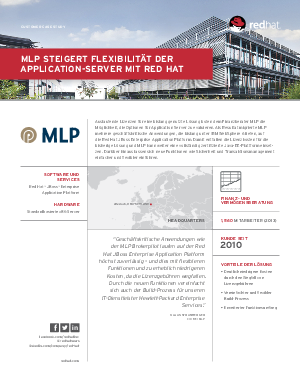 Download this paper now to discover how MLP now enjoys quicker, more flexible introductions of new security functions and transaction management.